Lentils and rice cooked with caramelized onions and cumin for a simple, fragrant, and cheap Mujadara. I saw this recipe on Mostly Food and Crafts a while back and it sounded tasty, so I featured it on Five Friday Finds. I never quite got around to making it, but then we ate this dish at a Mediterranean/Middle Eastern restaurant with a friend. Right then, I knew I'd be making this dish when I got home. 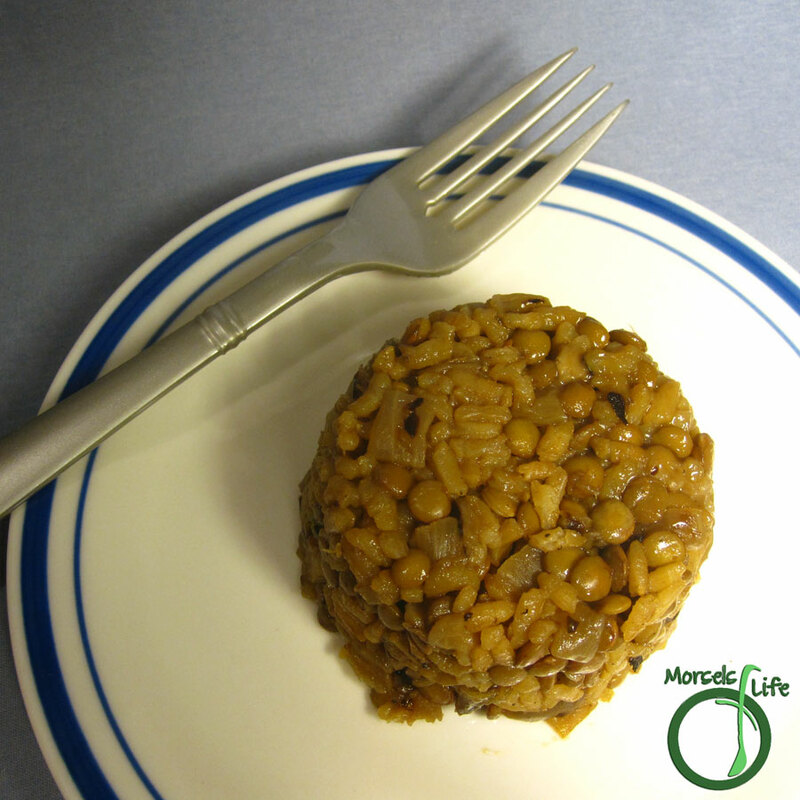 Mujadara generally consists of lentils and rice cooked with caramelized onions. You can also throw some fried onions on top, adding a nice crunch. I like this Mujadara since it's not complicated at all. Plus, it uses common ingredients you probably have on hand already. If you don't have lentils, beans make a good substitute. In fact, James ate a similar dish with beans in Iraq. However, I'm guessing the original versions were made with lentils since Mujadara is Arabic for smallpox, and the lentils among rice look like pock marks. Give this Mujadara a try and see what you think! It's not photogenic, but it is simple, fragrant, and cheap! Isn't it interesting how some foods are named? What are some other foods with interesting names? Saute onions in oil until they brown and begin to caramelize. Add remaining materials and simmer until rice and lentils cooked, about 20 minutes.